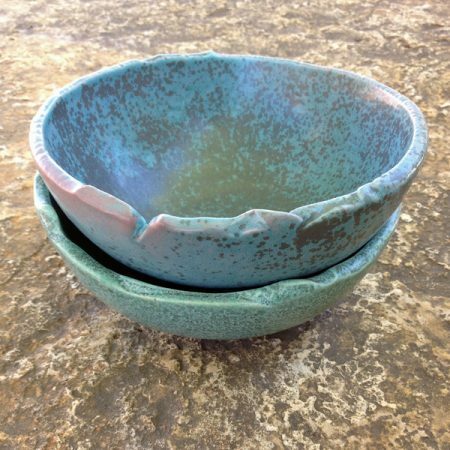 Derek Mulliner was first introduced to ceramics while in high school. 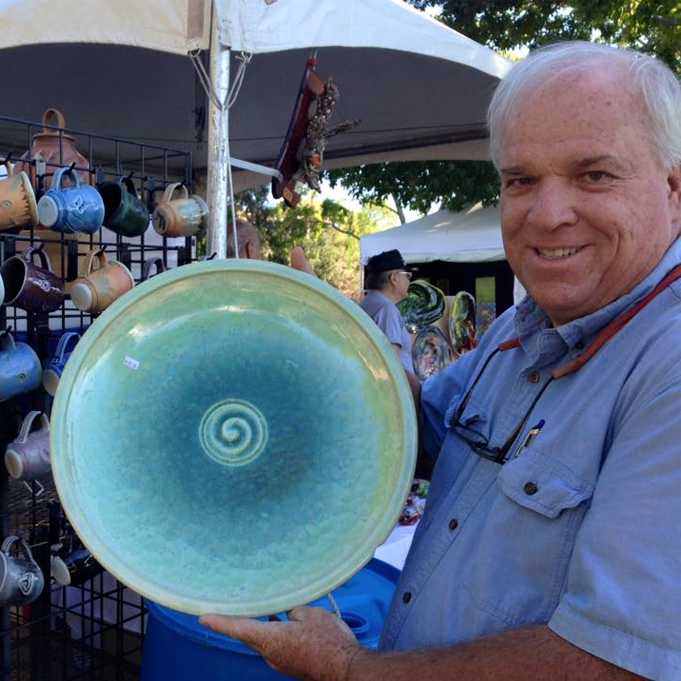 After almost 5 years of throwing pottery he took a break for over 20 years . Now he spends time throwing at his home studio, located adjacent to Ivanpah Dry Lake area in Nevada where the ancient Anasazi once lived. One of Derek’s favorite earth glazes is made from the clay of this dry lake bed. Over the years he has built several kilns and his most recent project is a wood-burning soda salt kiln. He enjoys learning new techniques and experimenting with glazes. Terra Mulliner has been throwing pots for about 3 years, encouraged by her husband, Derek, a potter of many years, and other expert potters at Pottery West in Las Vegas.